Libero Copper may acquire 100 percent of Big Red in return for the issuance of 2,000,000 common shares of Libero Copper and cash payments of $440,000 over four years. Libero Copper (TSXV:LBC) has announced that the option agreement to acquire 100 percent of the Big Red porphyry copper-gold property in the Golden Triangle in British Columbia, Canada announced on January 28, 2019 has closed. Libero Copper may acquire 100 percent of Big Red in return for the issuance of 2,000,000 common shares of Libero Copper and cash payments of $440,000 over four years. The vendors have retained a 1 percent net smelter return royalty, 0.5 percent of which may be repurchased by Libero Copper at any time for $10 million. Libero Copper understands that previous work programs returned surface rock chip sample assays over 0.3 percent copper and 0.3 grams per tonne gold from the porphyry copper-gold target including results of up to 1 percent copper and 0.5 grams per tonne gold. Five kilometres to the west, 36 boulders of up to two metres in diameter from an epithermal gold-silver target returned up to 252 grams per tonne gold with an average of 24 grams per tonne gold. 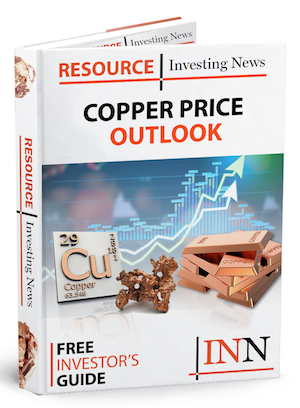 Click here to read the full Libero Copper (TSXV:LBC) press release.